I just visited Sicily for the first time. It is an island fueled by sweets: granita for breakfast, a cannolo after lunch, gelato pistacchio in the heat of the afternoon, and cassata after dinner (with, of course, a sweet wine). It became a light-hearted joke with my travel companions: dolce was a four-course meal on its own. And why not? The Sicilians are masters with sugar, incorporating it into daily life like there is no tomorrow. Dry wines from Sicily have been captivating me for years (and if you are not on the bandwagon, please hop on), but the sweet wines are compelling in a completely different way. We Americans — despite our innate, cultural love of sugar — relish in dismissing sweet wines. We proclaim “dry” as if its a synonym for “best,” yet little do many of us realize that several of our best selling wines have enough residual sugar to kill a small bear. One aspect of this sweet stigma comes from a lack of creativity — we just don’t think of ways to pair sweet wines with food. It’s not part of our culture. Neither is the practice of enjoying a vino da meditazione at the end of an evening. But the galaxy of Italian sweet wines — especially from Sicily — is enormous. 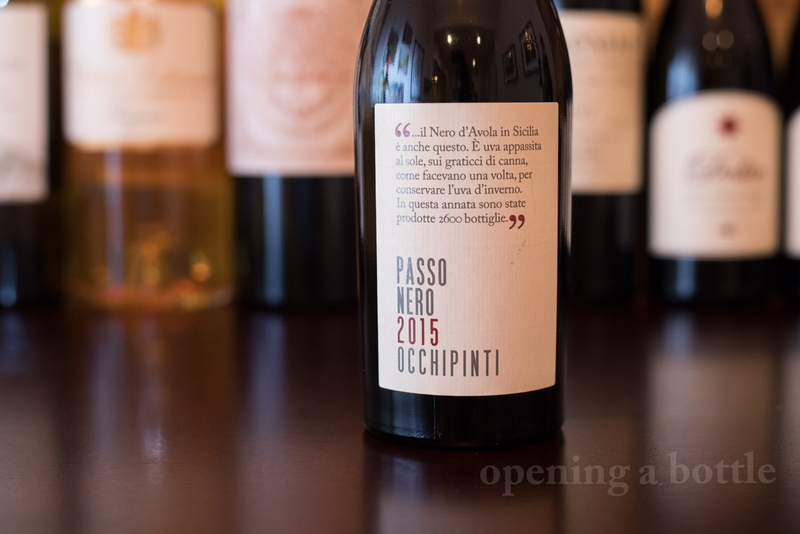 Below are the truncated stories of four Sicilian passito wines you should seek out. 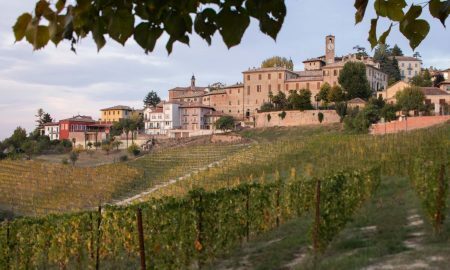 This style of wine is widely produced across Italy, and it is a throwback to the days when winemaking was less about the pursuit for international success, and more about using scrappy techniques just to make the wine palatable. Passito wines come from partially air-dried grapes. This process, known as appassimento, leads to a concentration of sugars because of the evaporation of the grape’s water content. From there, grapes are pressed and the precious juice that remains is fermented. 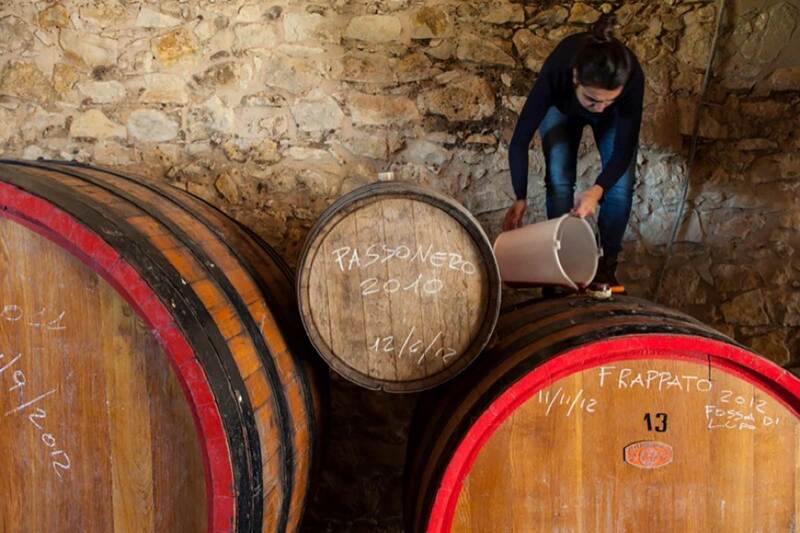 Centuries ago, the appassimento process rounded off the edges of many overly tannic, overly acidic wines. It also helped preserve the wine for longer. Now, in places like Sicily, it is being used to remind us that sweet wines don’t have to be cloying — they can be downright thrilling. Gorghi Tondi’s Grillodoro (★★★★★) is one of Sicily’s most unusual wines because it comes from one of Sicily’s most unusual vineyards. 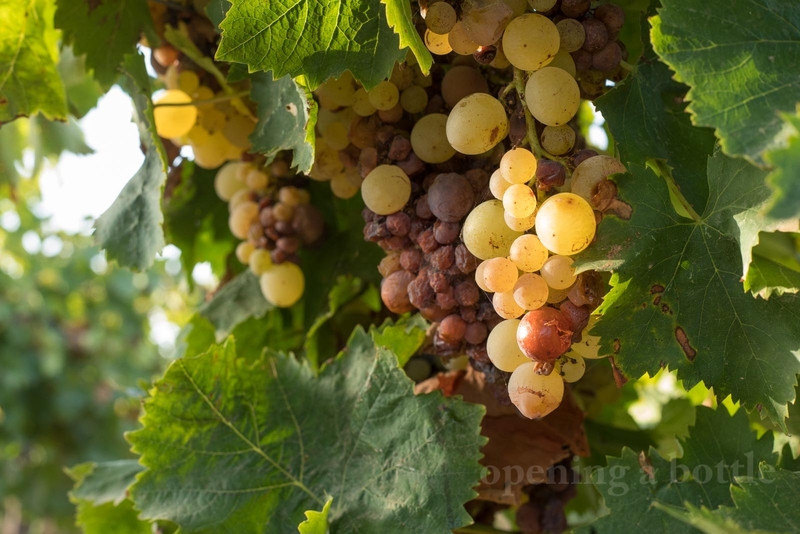 Located on the Gorghi Tondi estate near Mazara del Vallo on the western coast of Sicily, the small vineyard dedicated to this wine often develops botrytis, also known as noble rot. This beneficial gray fungus forms only under humid conditions, such as the climate you’d expect in Bordeaux, Tokaj or the Mosel — not in Sicily. I recently walked through this vineyard just as the Grillo grapes were nearing perfect ripeness. 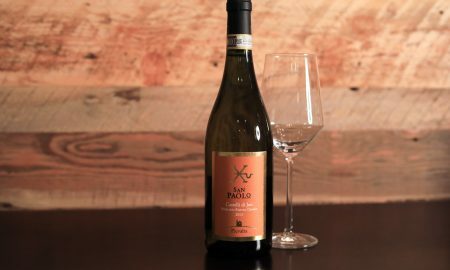 The Straight of Sicily is merely a quarter mile away, providing just enough of a humid kiss to allow noble rot to form. 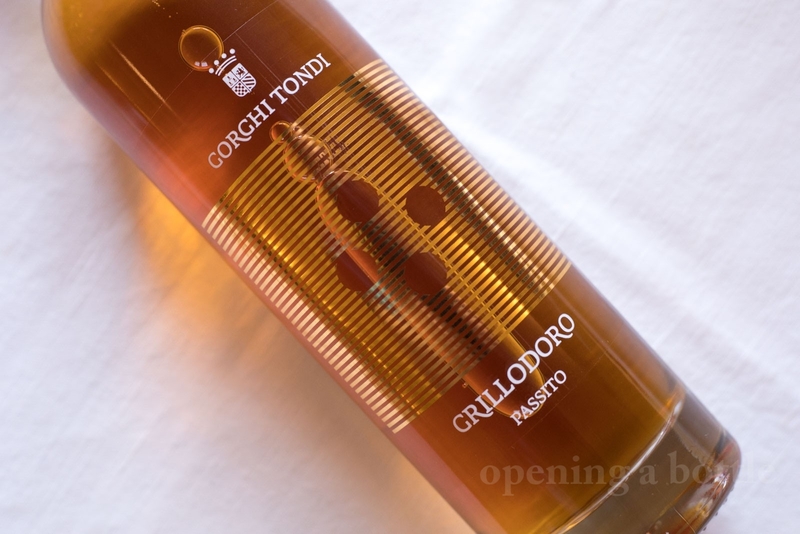 But creating a wine with botrytis was not Gorghi Tondi’s original intent. It just happened by chance, and Agronomist Salvatore Lamia showed me how several factors beautifully converge in that one spot. “The best thing for the growth of botrytis here is the alternating humidity and wind,” Salvatore told me through a translator. That is because humidity helps trigger the growth of the fungus, and the wind dries the clusters. Without drying, the noble rot does not set. But the magic of botrytis lies in the narrow margins for these conditions: You need the exact amount of humidity, the exact amount of wind, and you also need an exact configuration in each grape cluster to aid the process of drying. Holding out a cluster, Salvatore demonstrated what was ideal: less compact clusters with berries of varying size enjoyed better ventilation; those that were more uniform and full blocked the wind and held onto their moisture. Grillodoro tastes like a Sauternes that flew off to Hawaii for vacation. 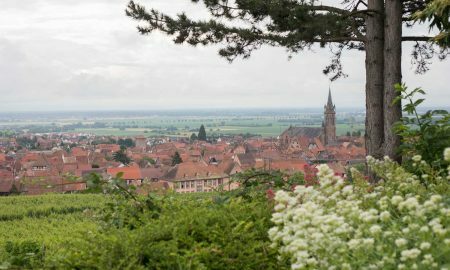 While it bares many of the familiar aromas and tones of France’s most famous, botrytis-affected dessert wine (e.g. candied apricot, honey, marmalade, caramel and walnuts) it has a strong hint of passion fruit and white flowers, with a slightly briny, by-the-sea edge to it as well. It was early September, and only a few of the berries had fallen prey to the fungus, but we picked them, split them open, and sucked the juice from the grape. While I failed to notice the funky flavor of botrytis in the nascent juice, I did taste an elegant, deep sweetness akin to orange-colored stonefruits. The bees noticed it, too; they were buzzing around the clusters like greedy little monsters. It seemed as though nature knew it had created a beautiful thing as well. 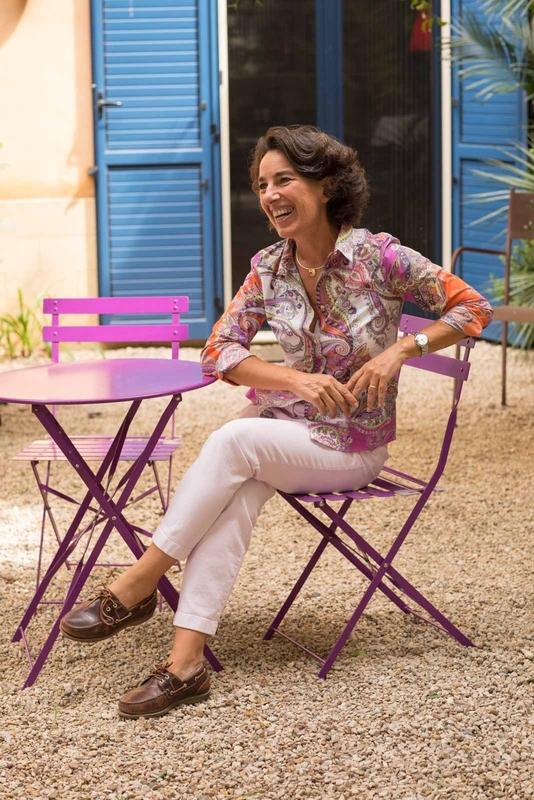 Arianna Occhipinti has become one of Italy’s most important natural winemakers. In my opinion, her deft winemaking skill with Frappato and Nero d’Avola has kept southern Sicily neck-in-neck with Etna Rosso for the region’s best wine. When I saw Passo Nero (★★★★★) for sale at my local wine shop, I immediately changed my shopping list. At $60 retail, that meant leaving without the Chardonnay pet-nat and German Riesling that I came for, but who cares? This was a rare bottle from Occhipinti: I had to find out. What was in the bottle was a mysterious wine that felt like the love child of Recioto and Port. The aromas were akin to black prunes, blueberry preserves, cocoa, leather and menthol, with a muscular structure that was somehow light on its feet. We paired it with a spicy tomato sauce pasta, which worked for me, but not my wife. (“Too sweet for dinner,” she noted). A pairing with chocolate, we agreed, was sinfully the best match. To make the wine, Arianna selects grapes from the Fossa di Lupo district of Vittoria because the Nero d’Avola grapes from there have a thicker skin, making them more suitable for drying. 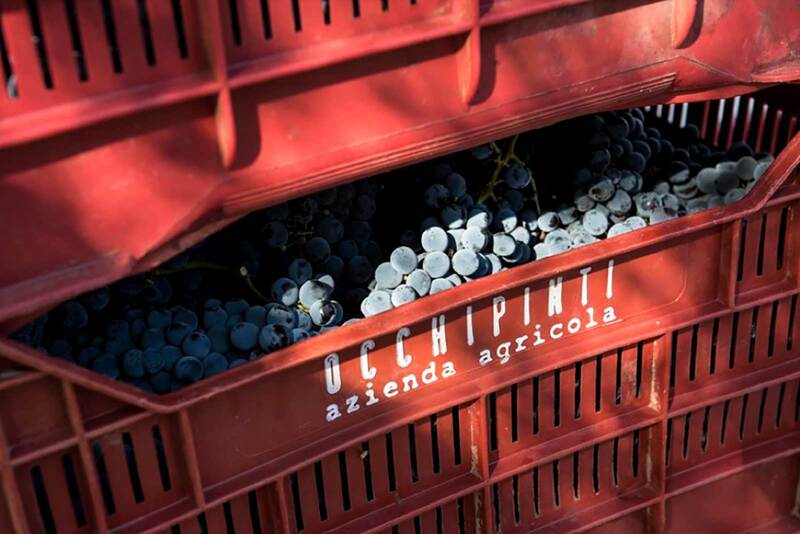 After hand-harvesting the grapes, she dries them on racks under the Sicilian sun for 15 days, which evaporates the water content and concentrates the sugar. According to Arianna, Nero d’Avola is well suited for dehydration because it is “a variety of sun and wind.” The grape holds on to its acidity well into ripening, and that key facet — which keeps the wine from devolving into a mushy mass of syrup on the palate — makes it ideal for passito wine production. Yet, few winemakers are doing so, and there is no historical tradition of passito Nero d’Avola. 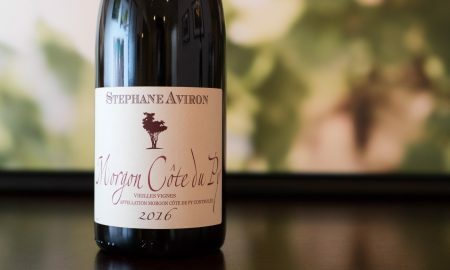 “I found some sticks in the historic cellars where the grapes were dried to preserve it,” she told me when I asked about her inspiration for this wine. 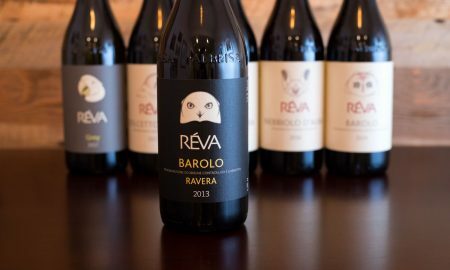 “So I wanted to bring this process back to my territory, a land of reds with Nero d’Avola and Frappato … When I decided to do it, I tasted the passito of Barone La Lumia” (one of the few who make a passito Nero d’Avola). 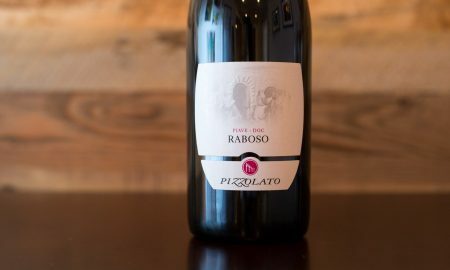 Her inspiration led to Passo Nero, which is a vital contribution to the story of Nero d’Avola. Off the northeastern coast of Sicily lies a string of volcanic isles: the Aeolian Islands. The Greeks believed that their God of Wind (Eolo) lived on these islands, and when they settled them in the 6th century BC, they brought viticulture to the islands’ black volcanic soil. However, it wasn’t until the 19th century that the wines gained much of a following beyond the islands. Renowned for their honeyed color and delicate sweetness, the Malvasia di Lipari-based passito wines continue, but in very small numbers. Two World Wars, land development to support an influx of tourism, and a declining interest in sweet wines worldwide lead to a decline in Malvasia vineyard acreage on the islands of Salina, Lipari and Vulcano. 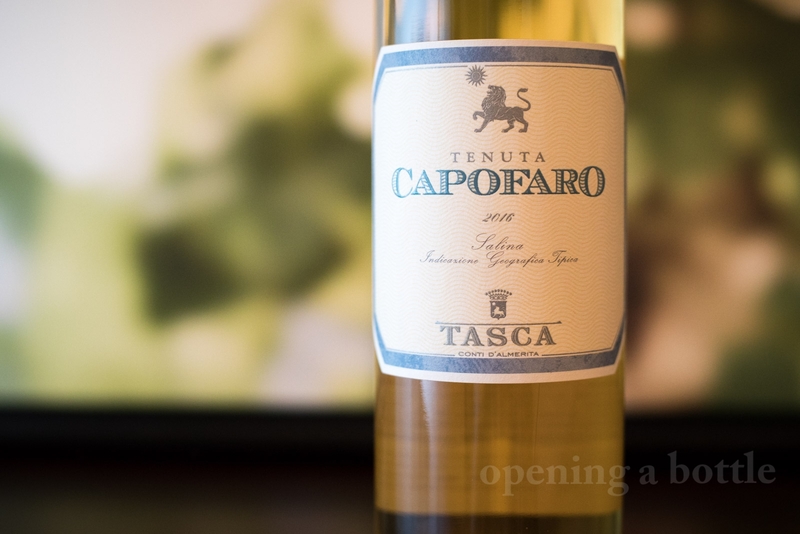 Viticultural has the strongest presence on Salina and that’s where Tasca d’Almerita’s small estate — Tenuta Capofaro — is located. 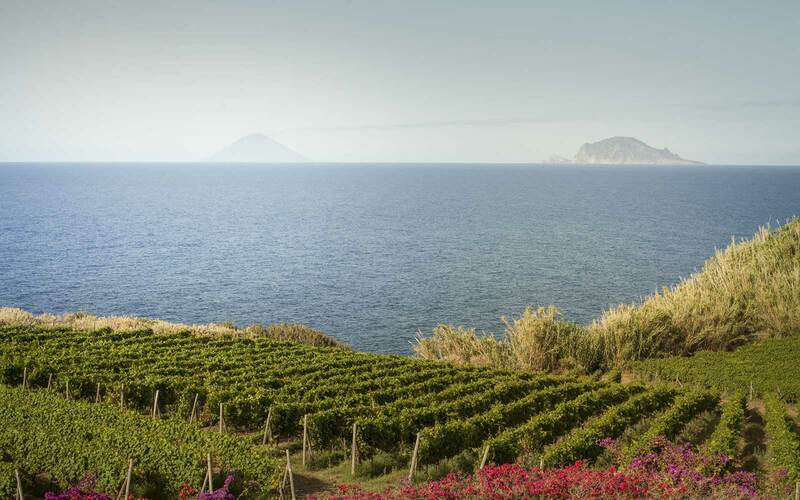 From the vineyards on the northeastern point of the island, views stretch out over the azure Tyrrhenian Sea to the neighboring islands of Stromboli and Panarea. Much of Tenuta Capofaro’s Malvasia is devoted to a dry wine called Didyme. 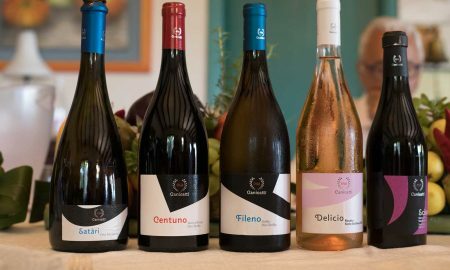 According to the estate’s agronomist, Alessandro Accardi, dry wines have revived the local wine industry and are likely the driving force of the island’s viticultural future. But Tasca d’Almerita’s initial focus with the estate was on a sweet passito wine that recalled the past. 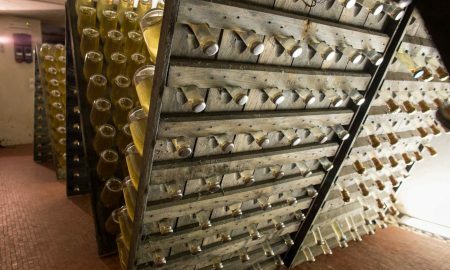 With the Capofaro Malvasia (★★★★ 3/4), grapes are dried in covered, open-air buildings called fruttaio for 18 days before they are transferred to Sicily for pressing at Tasca d’Almerita’s Regaleali winery. (This is why the wine is technically not a Malvasia delle Lipari DOC but rather labeled as a Salina IGT). 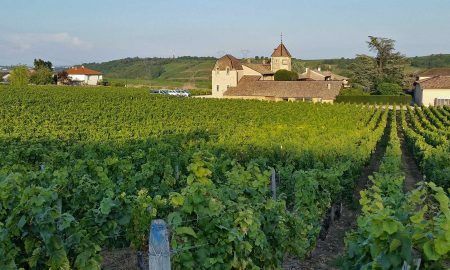 From it’s golden colors to its fresh-air aromas and stone-fruit sweetness, the wine seems to radiate the very sunshine that it received in the vineyard. It is a decadent and detailed wine with whispers of white flowers, butterscotch, fresh grass and honey on the palate. I suggest drinking it in the dead of winter when, if you’re like me, the colorless landscape begins to gnaw at your soul. Donnafugata Ben Ryé. Photo published with permission from a good friend who wants to remain anonymous. Donnafugata’s Ben Ryé (★★★★★) behaves like a Kandinsky painting: a collage of vivid yet seemingly shapeless sensations, that suddenly coalesce on the finish into something that makes perfect sense. My first sip of this wine was the 2016 vintage, and it was confusing. There was an intense sweetness — an incredible 195 g/L — that simultaneously seemed light as a feather. I find that sweet wines often have their complexity obscured by sugar, yet somehow, Ben Ryé maintained both. This remarkable wine is perhaps Sicily’s most famous passito, but it doesn’t technically come from Sicily. Like Capofaro Malvasia, it comes from an island off Sicily — in this case, Pantelleria, a rugged, wind-swept rock in the Sicilian Straight. The island falls under Sicily’s jurisdiction, but it is actually closer to Tunisia. 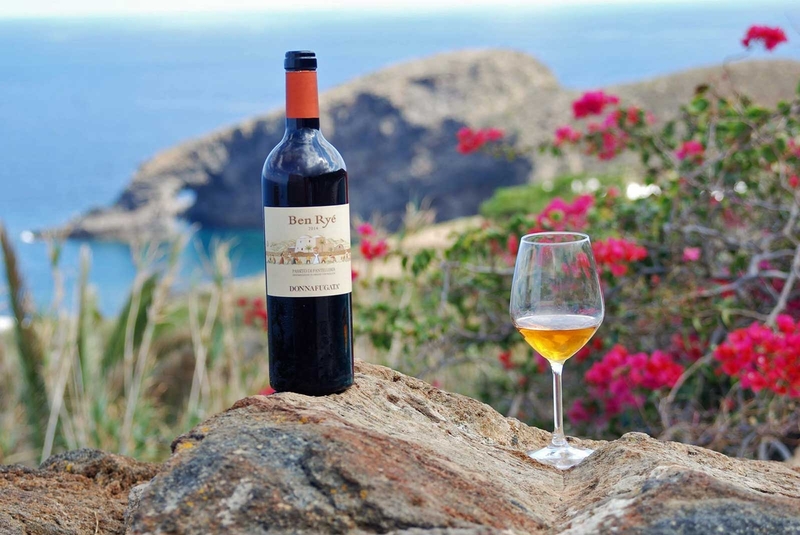 Pantelleria’s history is firmly tied to Arabic culture, and as a result the Zibibbo grapes grown for Ben Ryé and other Passito di Pantelleria wines were — for much of their history on the island — used for table grapes and raisins only. I visited Pantelleria a few weeks ago with Antonio Rallo, co-proprietor of Donnafugata. 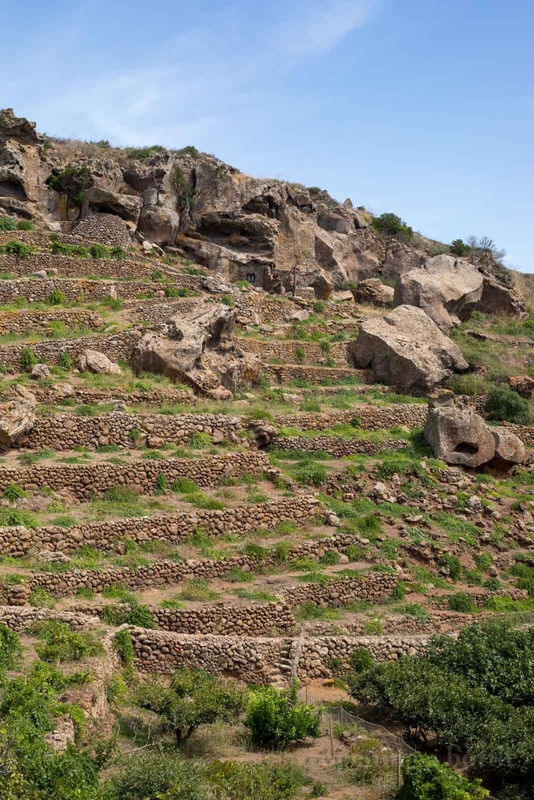 The magnificent terracing of the island — as well as the extreme lengths Pantelleria farmers go to eek out a living with grapes, capers and oranges — is admirable, to say the least. The night before in Marsala, I dined with his sister, José Rallo. The duo oversees an expansive company that was established by their parents in the early 1980s. Today, Donnafugata’s vineyard operations are across Sicily: in Etna, Vittoria and Contessa Entellina. But it was Pantelleria that José wanted to talk about most, and not just because I was going there the following day. She told me a story about her father, Giacomo, who had seen the monumental effort of Pantelleria winegrowers. There was a disconnect from how much toil went into the wine, and how the final product tasted. In short, it didn’t travel well, and had no hope of selling well in mainland Italy or abroad. She poured the 2010 and the 2006 Ben Ryé. Structurally, the wines seemed very similar. Perhaps in a dry wine the subtleties of vintage variation would be easier to pin. Given the wine’s residual sugar and balanced acidity, and the meticulous craft that goes into its production, Ben Ryé would be the kind of wine you could hold on to for decades — or open and savor for a few weeks. But there was a jolly touch to the wine that made me put down my pen and relax. Yes, there were notes of apricots, honey, orange zest, lemon verbena and thyme, and if I focused and maybe closed my eyes, I could have pinned down more. But then José began to sing in a most beautiful voice at the dinner table, and I was reminded once again that in Sicily, it’s all about the sweetness. Don’t think too hard. 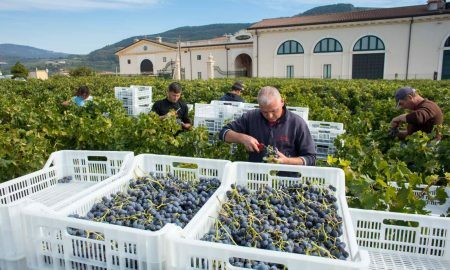 Note: In order to create this article and shoot many of the photos, I attended a press trip to Sicily wherby my travel expenses were paid for, in part, by a group of wineries (Gorghi Tondi and Donnafugata, as well as two others). However, in this arrangement, I maintained all editorial decisions in the creation of this post, and have excluded other sweet wines based on this authority. Secondly, the bottle of Capofaro Malvasia was submitted to me as a sample by the winery’s importer, DallaTerra Winery Direct, per an editorial request I made due to my interest in the wine. Learn more about by editorial policy.